Identification: Wingspan 7/8 - 1 3/8 inches. 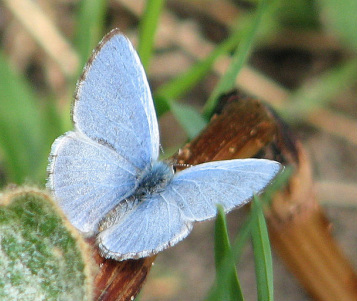 Males are more violet-blue on top of wings; females may have black at outer edge of forewing. One should examine top surface for positive ID. Wing bottoms are white with gray spots. Habitat: Openings and wood edges, old fields, freshwater swamps and marshes. 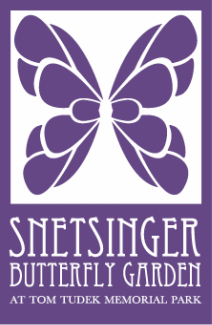 Garden Habit: Males patrol and perch all day but are most active midafternoon to evening. Females lay eggs on flower buds. Catepillars are tended by ants. Host Plants: Variety of woody shrubs and occasionally herbs. Dogwood, New Jersey tea, meadowsweet, viburnums.